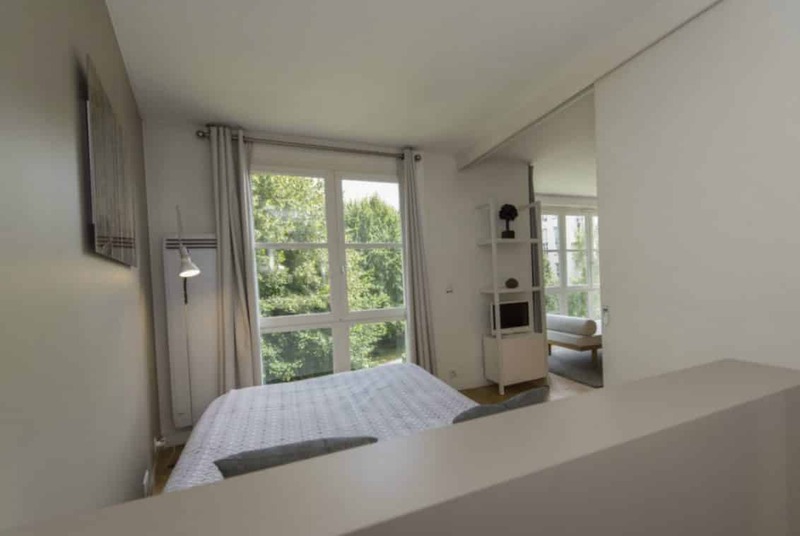 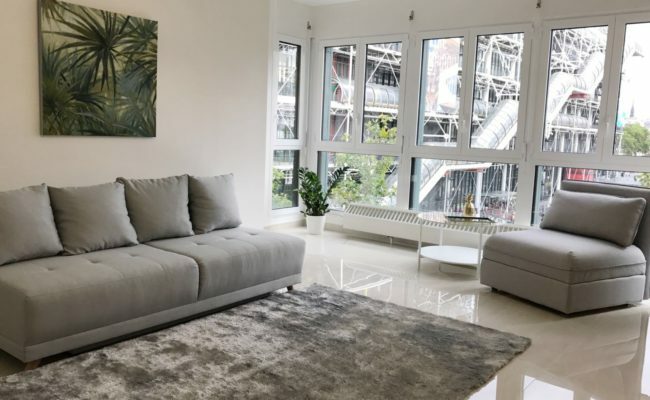 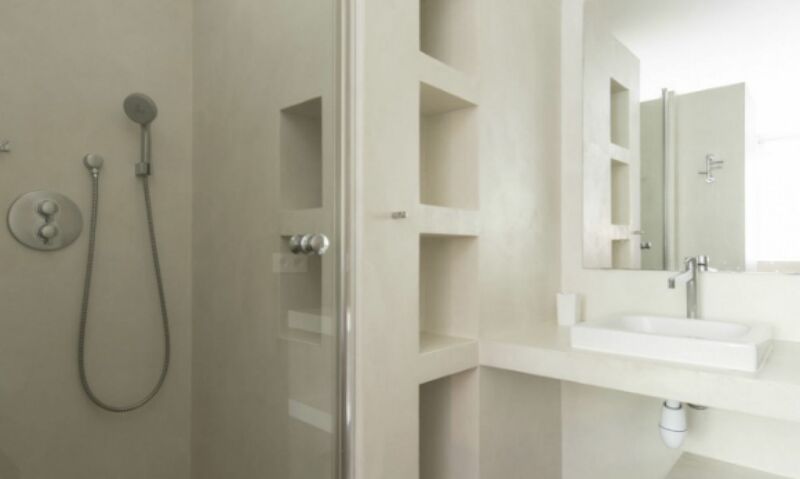 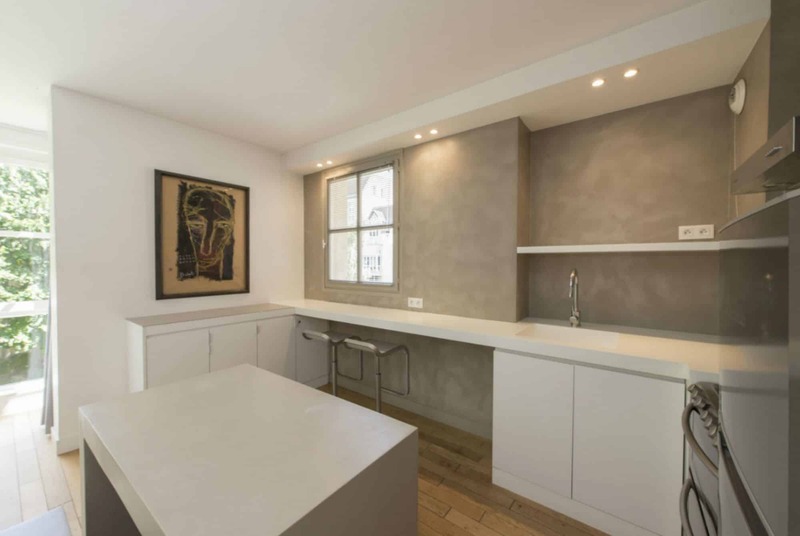 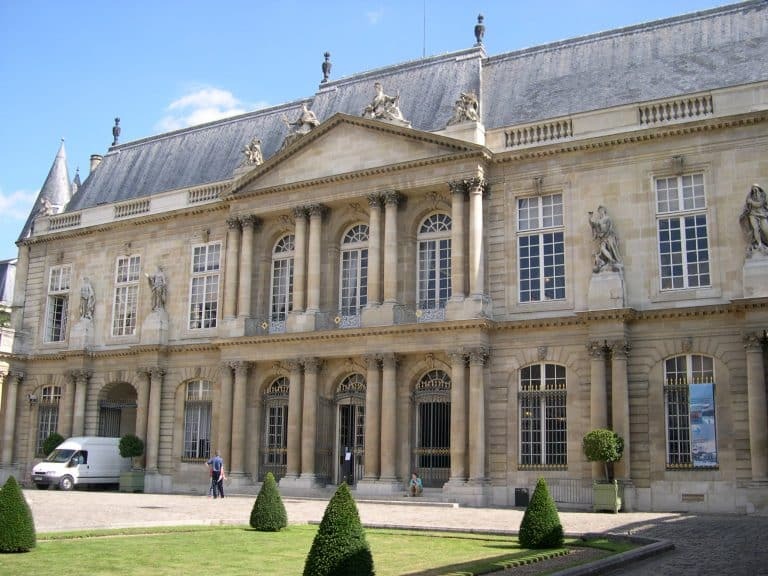 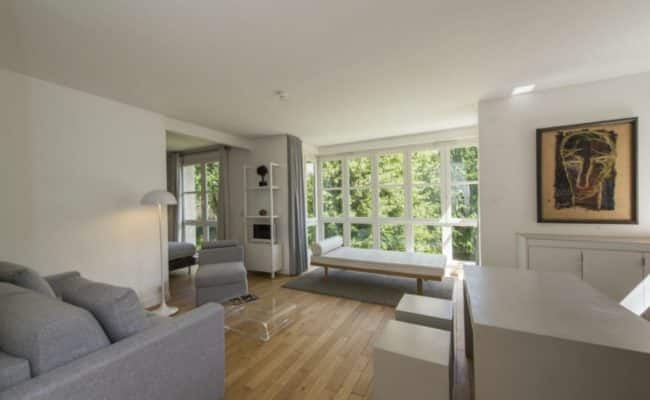 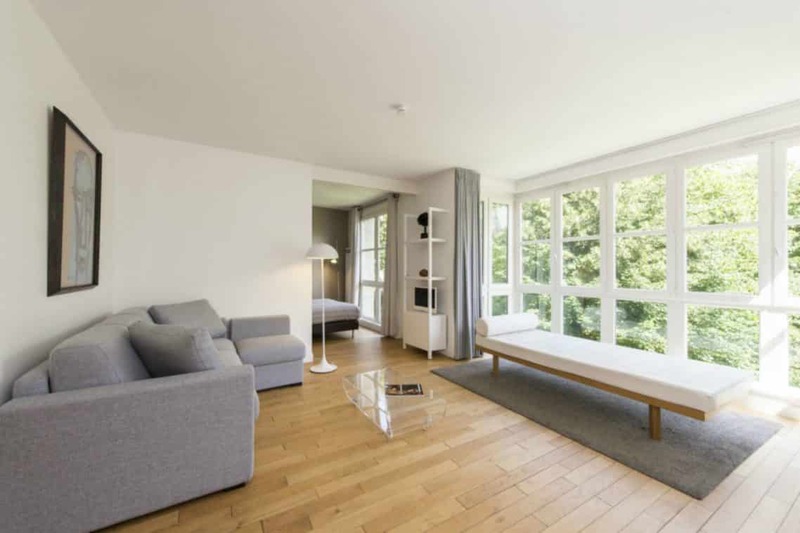 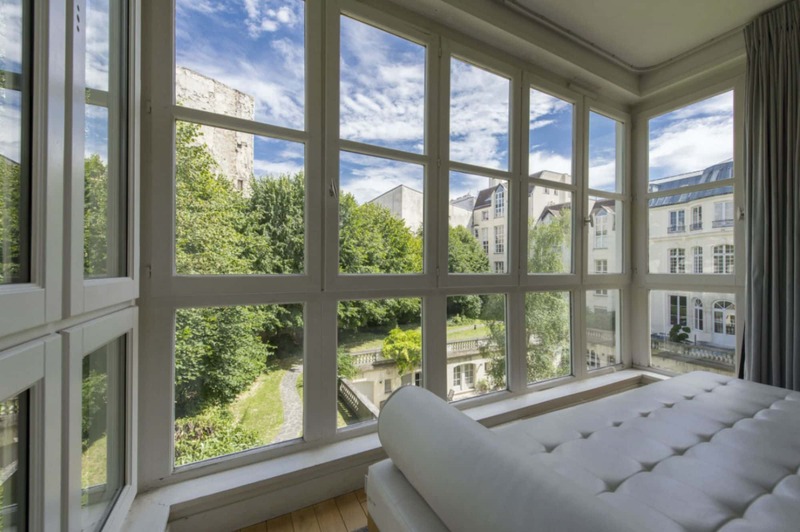 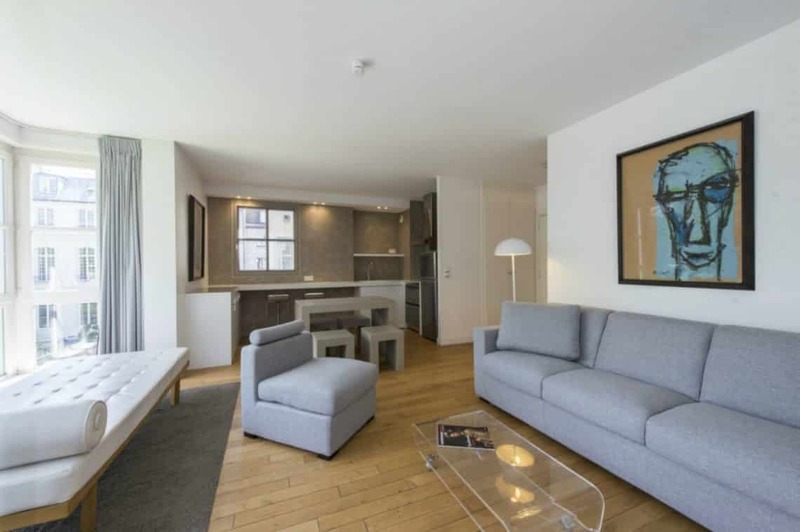 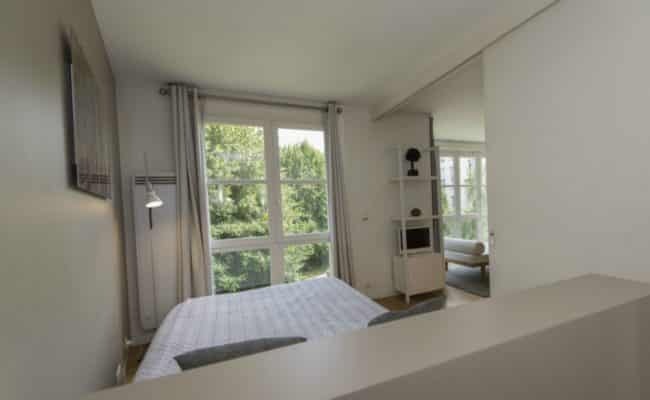 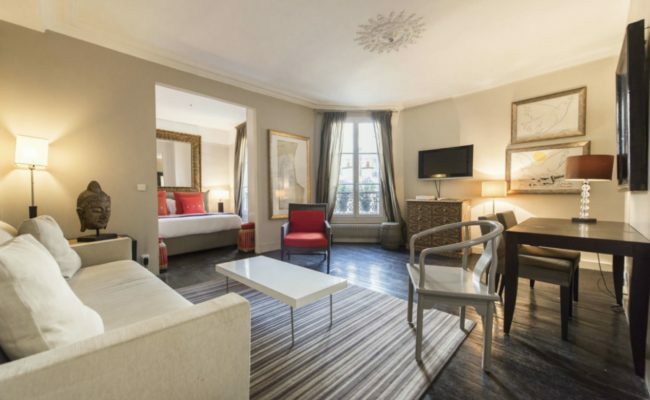 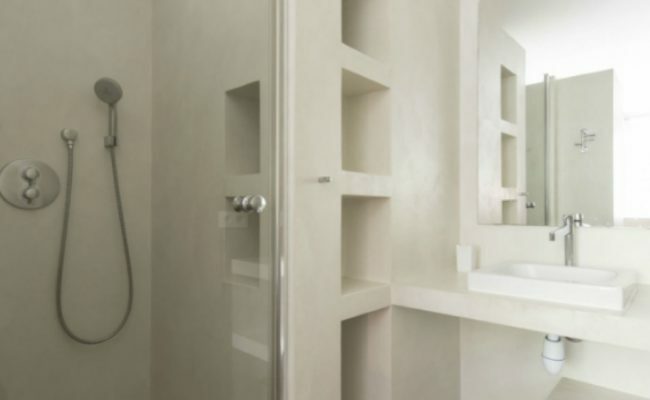 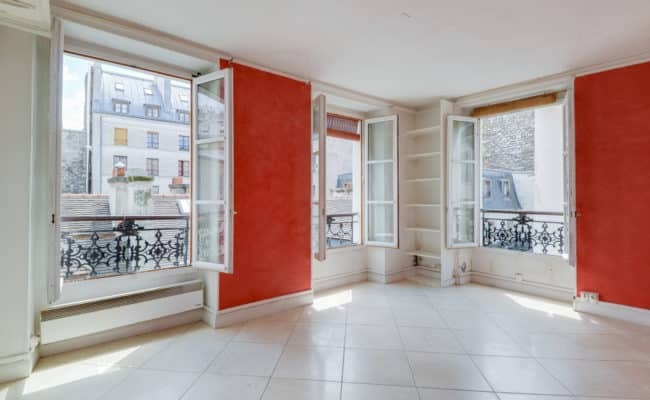 Magnificent, fully renovated one bedroom, one bath 45 m2 apartment overlooking a beautiful garden in the heart of the Marais, located 200 m from the Place des Vosges. 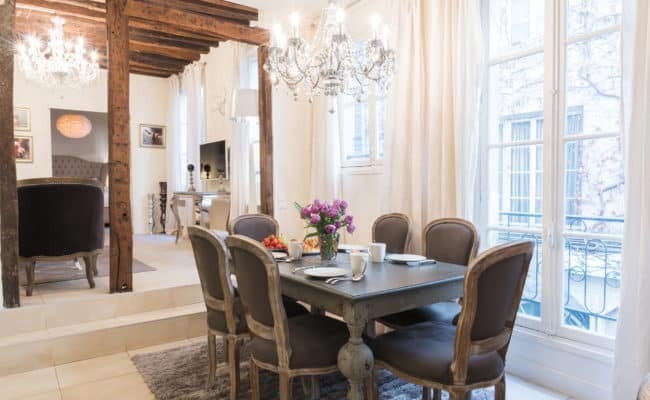 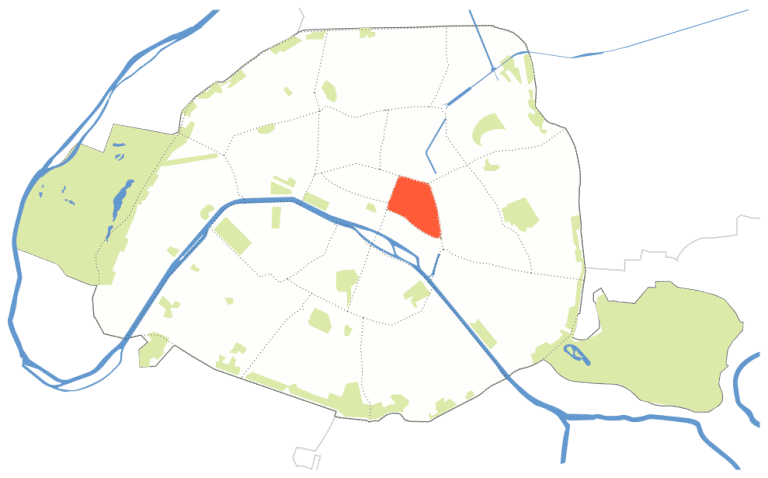 This property offers a sense of living in the countryside, but just steps from all the historical sights in central Paris. 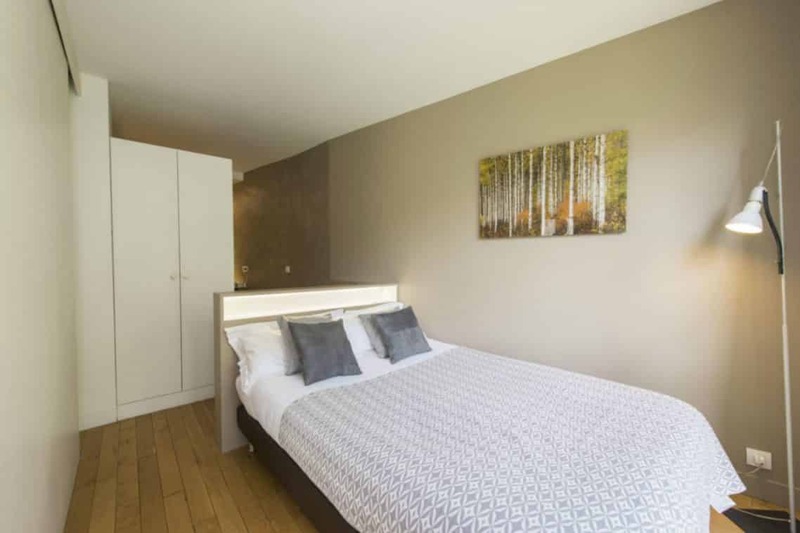 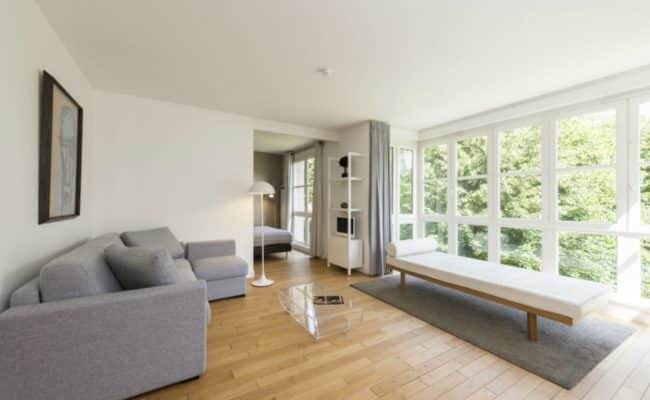 Located on the 4th floor with an elevator, this one bedroom property has a fully equipped kitchen which opens to the living area, a separate bedroom, and bath. 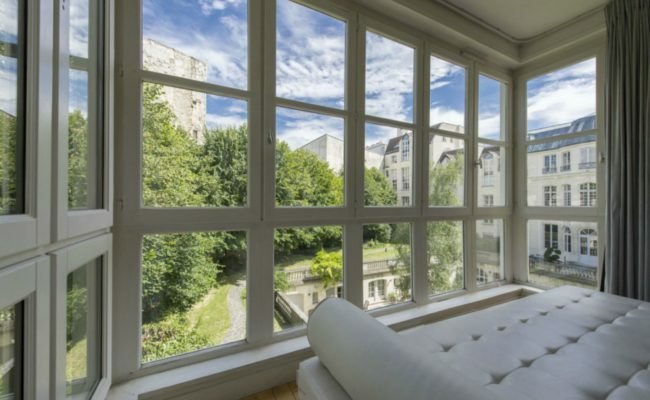 Beautiful view and luminously bright.